As the season draws to a close, the men’s and women’s swim team attended the Sunshine State Conference (SSC) Championship tournament in Clearwater. It occured over the span of four days, from Feb. 22-25, with seven teams competing. Overall, men’s swim team placed fourth with a final total of 548 points and the women’s swim team placed second with a total score of 797.50 points. Junior distance swimmer Makayla Ayers was nervous about returning to the pool. She’d been swimming for the past 15 years, but over this past summer she injured herself and she had to take some time off and away from the water. Sophomore fly and freestyle swimmer Molly O’Hara, was looking forward to the SSC Championship meet. She was both confident and nervous, but she came out of the 100-yard butterfly with a time of 54.86 on the second day, setting a new school record. O’Hara was also part of a medley relay team that set a new school record with a time of 1:42.32 on the first day of the Championship, then on the final day O’Hara came out with second place in a 400-yard freestyle relay, with a final time of 3:24.47. O’Hara has been swimming since she was five and left behind a trail of medals, ranging from top times in the 50-yard freestyle (24:00 at last year’s SSC) to 200-yard freestyle (against Rollins College). Those years of practice and training have helped her to place 17th out of 25 top female swimmers at the meet, one of seven Spartans to do so. Freshman Luke Maxwell, agreed with O’Hara. Maxwell is swimming in a collegiate pool for the first time as a freestyle and breaststroke swimmer, but had been on a swim team for all four years in high school. Junior Forrest Lundy was also looking forward to seeing how much he has improved from his past years on the team. Lundy finished last year’s season with getting top times in 200-yard freestyle, breaststroke and IM and 100-yard breaststroke. However, racers were concerned about the heavy competition so close to the NCAA Championship races. One of the stronger teams was Nova Southeastern University. 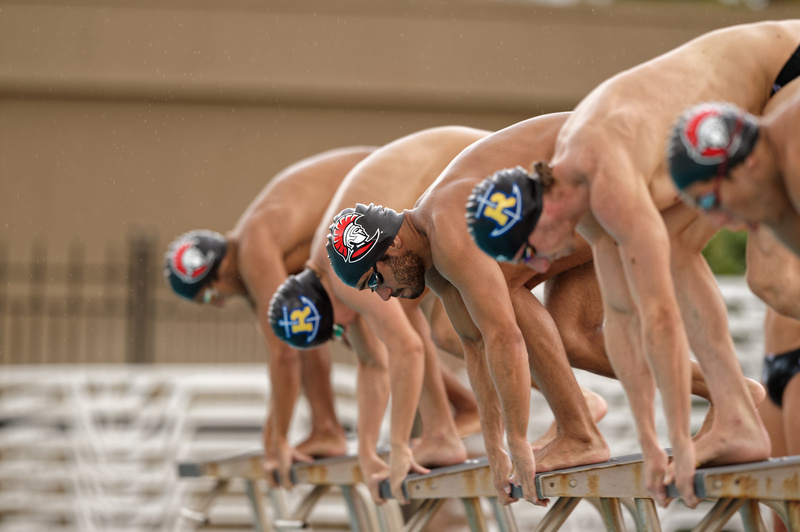 With the NCAA Championship meet around the corner, all qualified racers are training harder than ever. The NCAA Championship meet will be from Wednesday, March 14 to Saturday, March 17 in Greensboro, North Carolina.